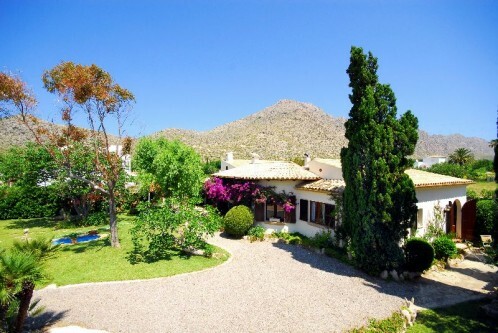 Fantastic detached Villa for sale with guest apartment in Puerto Pollensa, walking distance to the town and beach. Main house with 2 bedrooms, 2 bathrooms, lounge with fireplace, fittet kitchen, spacious dining area and acces to a superb covered terrace with extraordinary views to the Valley of Boquer and the mountains. Separate guest apartment with 1 bedroom, kitchen and bathroom, other storage /utility rooms and a garage offers this home as well. 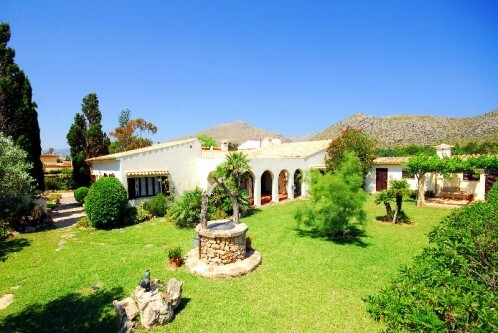 Ideally located only a short walk from the town center this villa is ideal for holiday lets and price will increse in the coming years. Swimming pool is very easy to place, ideal with south facing positions and great views. Not to be missed, arrange an appointment today!